At our January Voter’s Meeting it was decided that we would call from the field for our Associate Pastor position. At the February Church Council Meeting the Church Council will begin discussion on how they will form a call team that accurately represents the demographics of our Family of Believers. If the Lord has put on your heart the willingness to be considered for this Call team please contact Pastor Koglin (akoglin@redeemer-rochester.com or 289-5147). Through the month of January, church staff will be working on a ministry description to be presented to Elders and Church Council in February. The most important action you can do right now is to pray. Pray that the Lord will use this call process to continue bringing clarity in purpose, excitement in mission, and unity in our Family of Believers. A family of believers sharing the fullness of God’s blessing. November 5/6– We will observe “All Saints Day” and kick off out Fall stewardship theme. You will again see stars hung around the sanctuary to celebrate the eternal life of those saints that have gone before us. Many of those saints shared the fullness of God’s blessings in their lives with us! 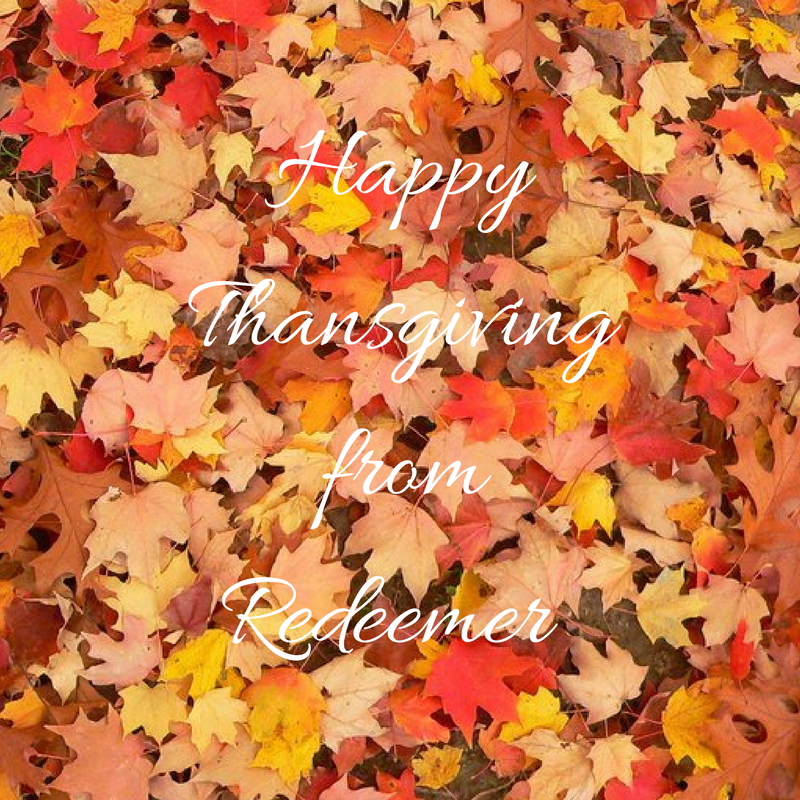 November 12/13– “Loyalty Sunday” you will receive a mailing that will allow you to prayerfully consider how you can financially support the ministry of Redeemer. November 19/20– “Dedication Celebration” This Sunday we will receive the financial commitments of the congregation and celebrate that ministry God will accomplish through these gifts. November 23/24– We will come together as a family of believers to worship together on Wednesday Nov. 23 and on Thanksgiving Day. Wednesday Nov. 23 @ 6:30 p.m.
Thursday Nov. 24 @ 9 a.m.
Holy Communion will be offered at all services. Attendees are encouraged to bring a non-perishable food donation for Channel One. The Redeemer Youth Group has a lot of exciting servant opportunities coming up in November! Feed My Starving Children is going to be a PYROS event on Nov. 11! Everyone is encouraged to bring their family and friends to the event. Look for more details and the sign up on the youth bulletin board! The youth is also having a servant opportunity at Texas Roadhouse on Nov. 15th! The youth will earn 10% on your bill to help fund the youth ministry for UKANDU Chicago. All you need to do is give the waiter an flyer (that can be found on the youth bulletin board) and then enjoy your meal! Can I be completely honest for a minute here? The idea of spending five days, three hours each day (and really early in the day, might I add) with a bunch of wild, energetic, crazy little kids sounds utterly exhausting. I mean, it wasn’t that long ago when I was that young, so I do still remember being absolutely crazy with energy myself, but since I’ve aged just a couple of years since my VBS-attending years, I’ve noticed my tendencies to act like a bear in the morning. This means that if anyone crosses my path before noon, there is a likely chance that I will either respond in grunts and very basic language, or I will be extremely grumpy. This is not at all like I was when I was younger when I could wake up at the crack of dawn with no problems whatsoever. This is a recipe for disaster when they tell you you’re supposed to be cheerful with kids. Cheerful???? How am I supposed to be cheerful??? 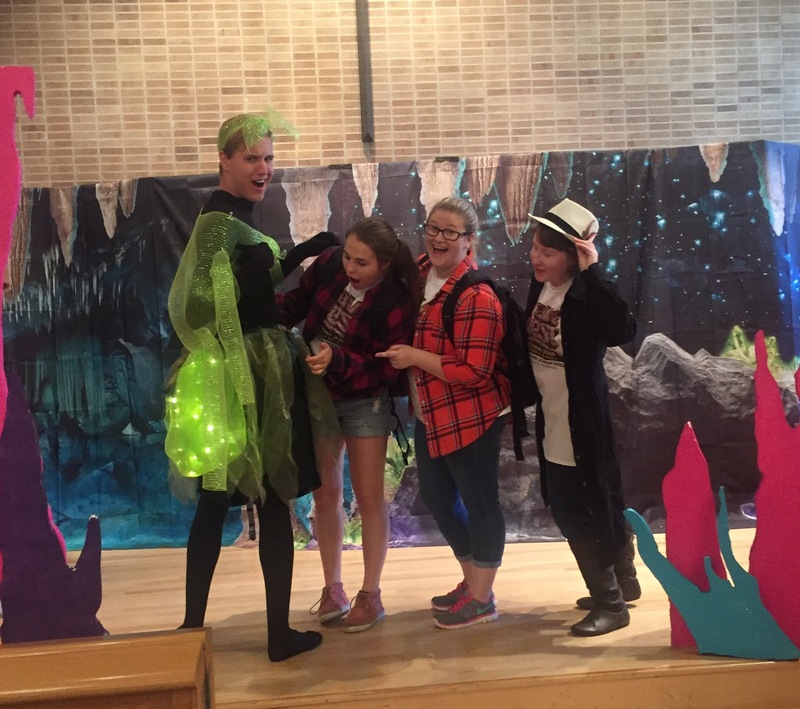 Did I also mention that I did Spotlight VBS this year? 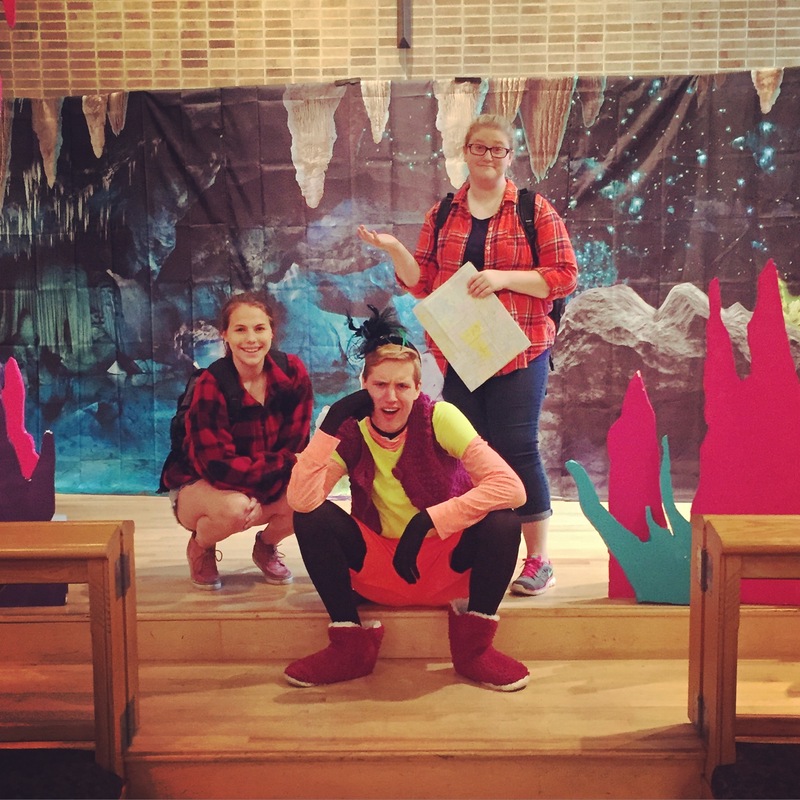 Spotlight VBS is where we take the bible story/lesson from the day and combine it with pictures to create a fun way to remind kids of what they learned in the day. The kids love seeing themselves on the screen so it’s something they really enjoy, but it requires a lot of energy. From the moment I pulled out my camera and asked for some of the first pictures of the day, however, my spirit was lightened immediately. These kids not only have energy in general, but they have the ability to rub off that energy too. Day after day, I watched as these kids began to recognize me and get excited as they realized that if the photographer was around, that meant that they could get in on the slideshow. Seeing them excited over something I worked to do make me excited. 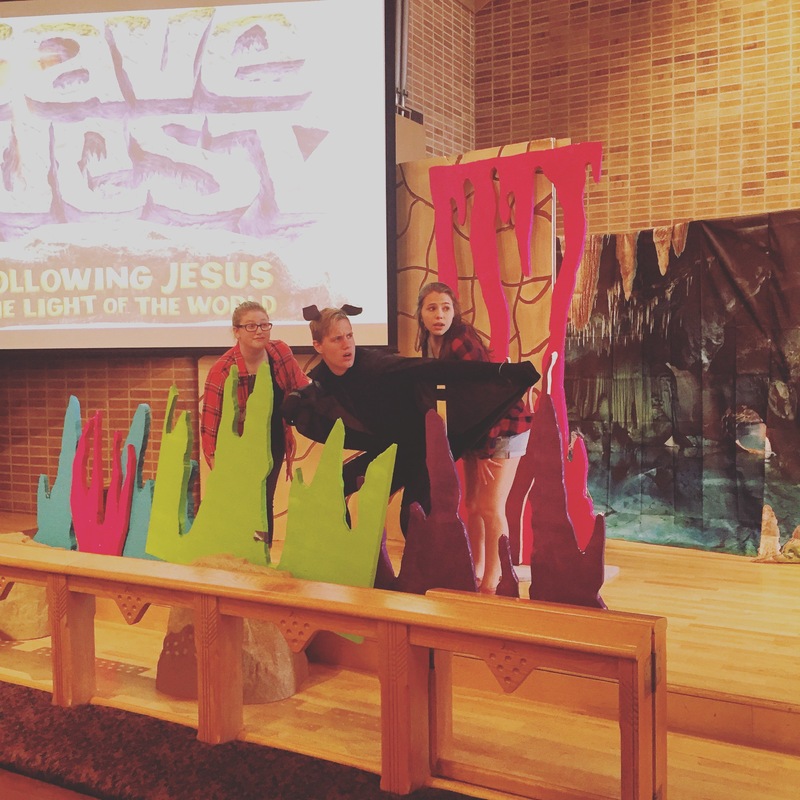 That made me realize something pretty key- VBS is not just about adults and leaders teaching the kids about VBS- it’s also about the kids teaching us about Jesus. I found Jesus in the hearts of every kid’s smile at VBS this week. I found that love of Christ every time they would get excited when I would ask for their pictures. I found God in these children every time I would hear their quiet murmurs as they saw themselves on the screens while I read the bible verse. These kids have that energy for God that is easy to spread, and boy did it spread to me. I got more and more excited to see the kids each day, and was saddened when it was over. Adults are sooooo not the only ones who can worship God. 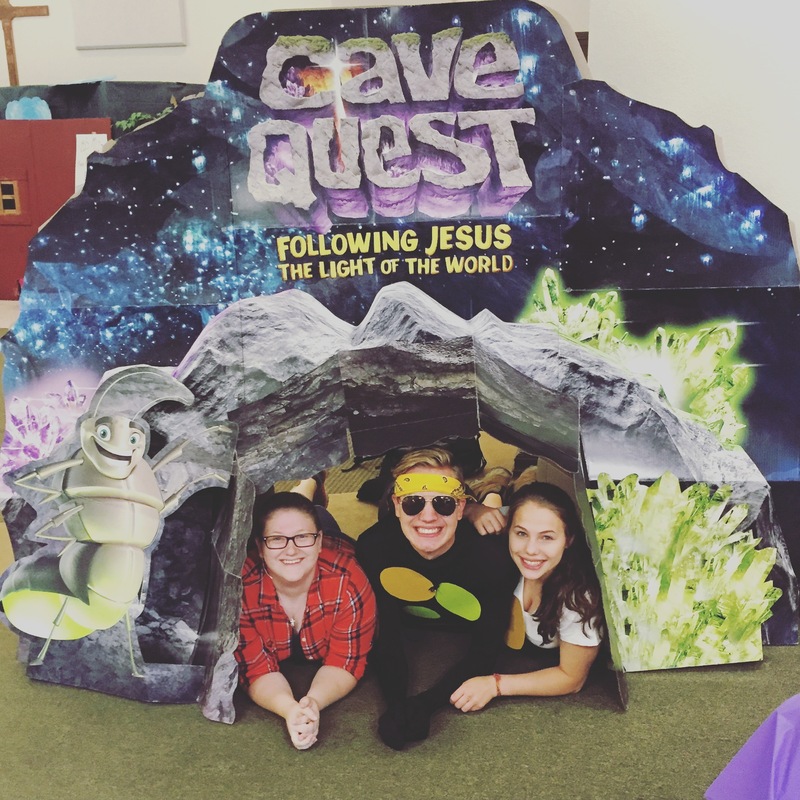 Kids can love God and show his love too, and that is the number one most beautiful thing about VBS, even though we all might be a little in need of caffeine. This week we followed Indy and Anna Jones as they explored a cave in search of Lieutenant Lux Uri’s hidden treasure…. On the first day Ind and Anna are in the cave when suddenly they hear a cry for help! It’s Sal, the Salamander and he’s stuck in a hole! Indy and Anna rescue him and Sal helps them on their journey in exchange for saving his life. Throughout their journey they discover that there’s ghosts in the cave! Sal is unsure about what will happen to him after death but Indy and Anna assure Sal that if you believe in God you are guaranteed a spot in heaven! This gives Sal hope for the future. By the grace of God the next day they find Mawtha’s friend, Radar who can get them back on track with his hearing. It took Radar a while to warm up to the duo but eventually agreed to help them out. Radar explains how God gave him certain gifts to help him with direction. Since Radar is nocturnal, they had to stop and rest for a bit but while they we’re sleeping someone stole their map!! They find their way back to the river with Radar’s help. The next day they get lost without Radar’s help, luckily they run into Oliver. Oliver is an ex-spy and knows every inch of the caves. He agrees to help them because Renee (the one who stole their map) is planning on demolishing the cave tunnels with the treasure money. Oliver wants to use alternative tactics to stop Renee but Indy and Anna convince him to let them try and talk Renee down from her plan. They succeed when they teach Renee what loving your neighbors really looks like and explain to her the repercussions of her actions. After Oliver leaves them they find themselves stumbling around the darkest part of the cave without a light to guide them. Suddenly they see a light in the distance that turns out to be Ray the glow worm who helps lead them to the treasure! Ray, Indy and Anna teach Renee the difference between good and bad kinds of power. They also explain how, even though everyone has special powers that God gives them God is the most powerful and has a plan for all his children. 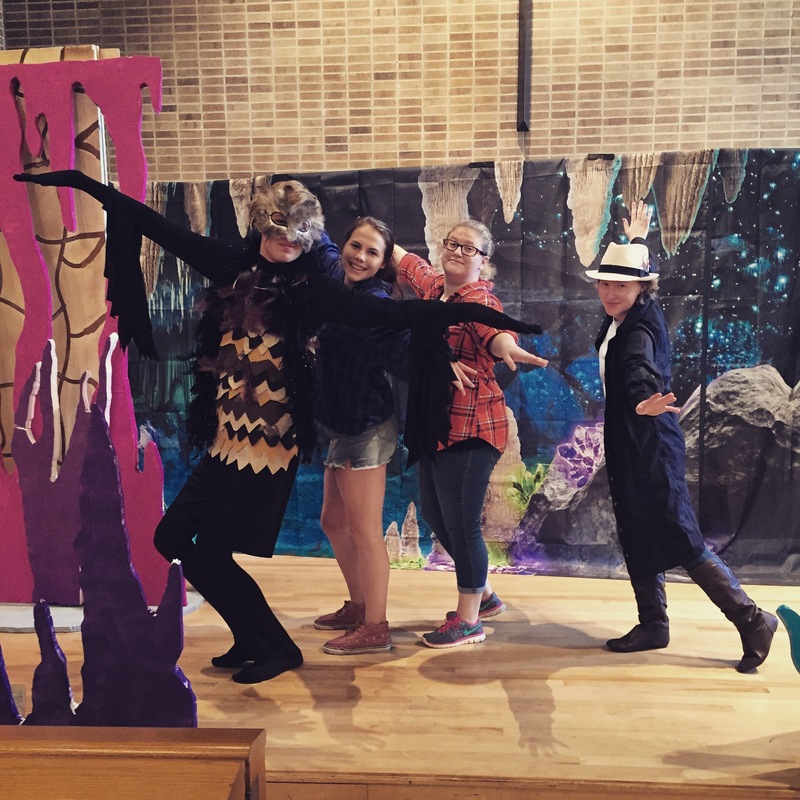 For many weeks leading up to VBS we have been teasing this year’s skit, the Adventures of Indy and Anna Jones. Now that VBS is almost upon us we can tell you a little bit more about our dynamic duo. Indy and Anna Jones are sisters descended from the one and only Indiana Jones! (That’s quite a lot to live up to!!) Indy and Anna are cave explorers just like their dad and this week they are exploring he deep tunnels under Savannah, Georgia. Georgia has some of the deepest and oldest tunnels in the whole world! Mix that with it’s rich history and culture and it makes for one wild ride. Indy and Anna are in search of Lieutenant Lux Uri’s buried treasure. Lieutenant Uri was a commander in the Civil War but before he was deployed he buried his fortune deep beneath his mansion. To this day, no one has ever found it, that is, until Indy and Anna take a crack at it….